Not all bride and groom portraits require bright golden sunlight. 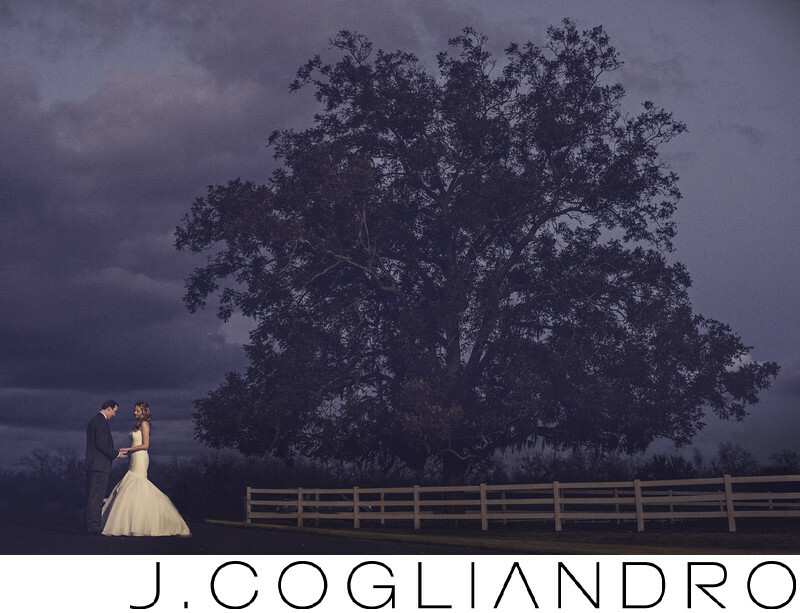 This photo of Chad and Jamie at Briscoe Manor was captured in waning minutes of dusk. Location: Briscoe Manor, Houston Texas.